Now that 2016 is behind us, let’s take a look at campaigns we can learn from going into 2017. As park advocates, any campaign promoting park exploration and encouraging active lifestyles warm our hearts.REI listened to consumers’ concerns over commercialization of holiday festivities, and came up with an alternative: ditch the shopping and head outdoors. Although at first glance this may sound counter-productive for a retail brand, it did just what it intended to do: gave consumers a break from consumerism in favor of reconnecting with the outdoors. REI’s brand depends on consumers’ active lifestyles, and by encouraging people to go outside it can increase their need for more outdoor gear, and helps them to become advocates for our public lands. This campaign has been running since 2015 and consistently sparks media interest and loads of engagement across social media. The “Opt Outside” campaign not only targeted consumers, it also involved one other important group – REI employees. 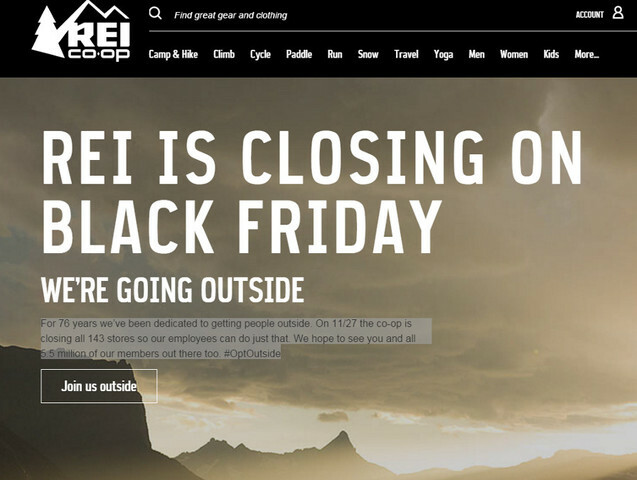 Employees were given Black Friday off as REI closed its stores, and they were encouraged to explore the outdoors and share photos on social media, generating plenty of positive social media activity with people in outdoor spaces representing REI. Key takeaway: Big picture strategy. Too often brands can get drawn in by the temptation to make a sale, and can miss the big picture: sometimes it’s just as important to tap into culture and be part of the conversation. This isn’t guaranteed to lead to direct or immediate sales, but it definitely helps build brand image and loyalty among consumers, which is much harder to capture than a quickie sale on Black Friday. 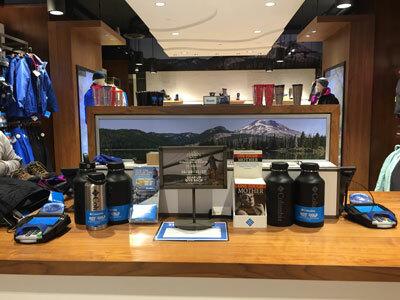 Columbia’s cause marketing campaign donated a percentage of sales to local conservation causes, and also partnered with nonprofits to educate shoppers in stores. Shoppers were invited to “Gear Up, Give Back” and could help raise funds simply by making a regular purchase (no extra donations necessary). The campaign resulted in a significant traffic and sales lift and strengthened Columbia’s relationship with popular local non-profits. Key takeaway: Bring the cause to your consumers Consumers want to help, but want it to be easy and accessible. According to a 2014 study by MSL Group, 69% of millennials worldwide want businesses to facilitate their involvement in addressing social challenges. Campaigns must not only be tied to a cause, but should make it easy for consumers to take part. Red Nose Day introduced a lighter side to a heavy cause: children’s poverty. Walgreens made fundraising, well, “fun” and kept it light. Red noses were sold across Walgreens stores for $1.00 (how can you not buy one of these and post a selfie?) making it incredibly easy for consumers to get involved. In addition, featured red products were prominently displayed on a dedicated shelf so that customers could purchase additional items that would contribute more funds to the cause. Key Takeaway: Make it fun! Poverty is a health issue which is relevant to Walgreen’s business mission to ‘Champion Everyone’s Right to be Healthy and Happy’, but that doesn’t mean the campaign can’t be fun. The comedic twist on things is unexpected and inviting. This campaign did an excellent job at facilitating consumer involvement and engagement, and raised over $31.5 million for the cause. Our favorite campaigns of 2016 stood out, and taught us something. How can you set yourself apart while bringing your cause closer to your consumers this year? We’d be happy to help! Reach out at mgrzelecki@goodsolutionsgroup.com to learn more.